I would love the dims of possible. Also what about the ford 8.8? Right, and it's got the right bolt pattern and is almost the same width. I'll try to measure the axle mounts sometime tomorrow. I'd say at if you are heading in the direction of an 8.8.... You might look into going triangulated 4 link and nix the panhard bar. That'd leave more room for upgrading later if you feel the need to go that far. So far, I'm loving the direction this build is going. Your execution is awesome. Thanks. I'm looking to see if a 700 series rear end will work. Was also told someone used a 940 rear too. Many options, will see what will work best for me. Many options, will see what will work best for me. 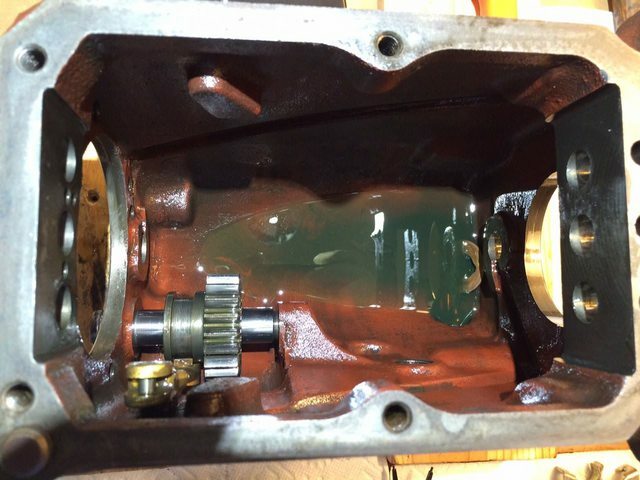 Started trying to get the OD separated from the gearbox today. Ordered all new seals. Last edited by HUB; 11-05-2017 at 09:11 AM.. 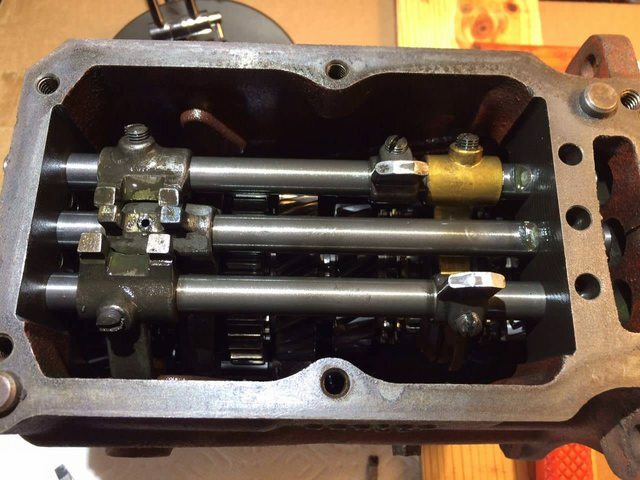 I think when you get down into the box itself you will be able to remove that shaft and that last bit of aluminum. I havent gotten up close and personal with the D type ODs though. You have to remove the shifterforks and shafts. 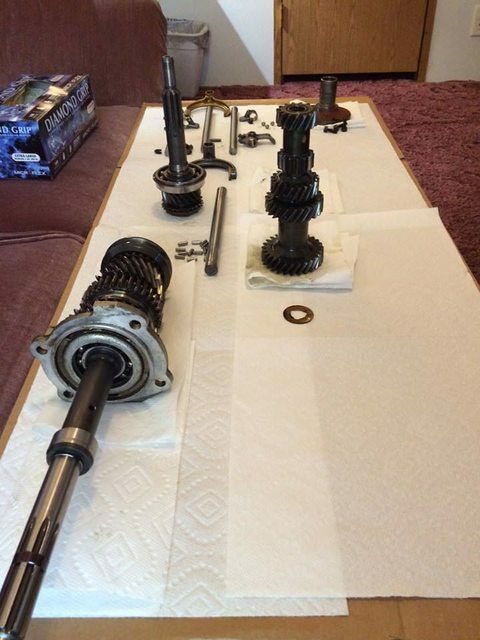 then turn the aluminium a bit so you can remove the shaft for the bottom axle. 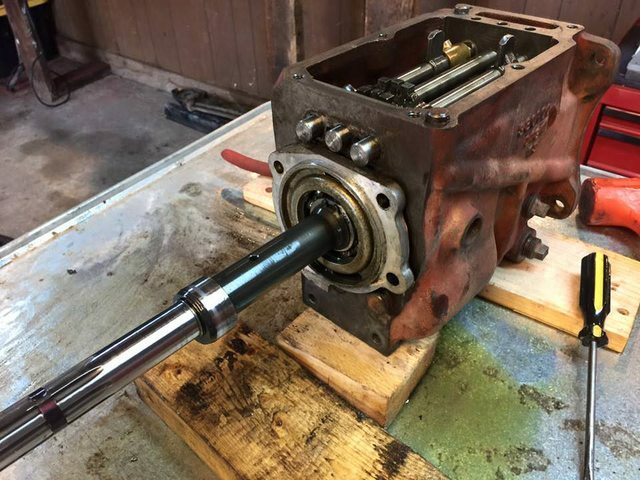 when you remove the shaft, the bottom axle drops and then you can pull the last bit out. That's not what I wanted to hear. 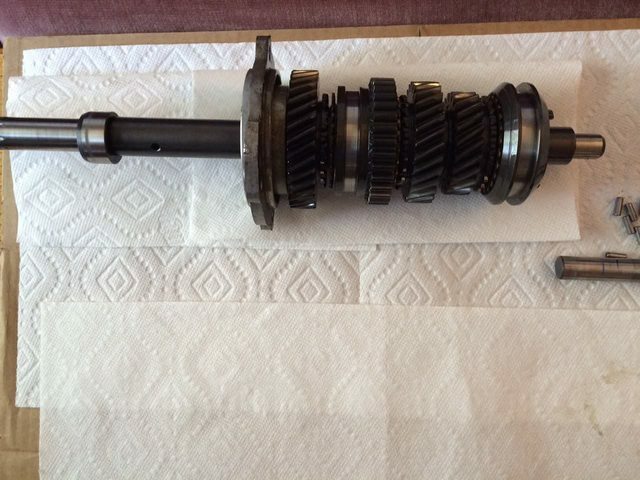 Didn't want to take the gearbox apart due to lack of experience. Taking the OD off was already intimidating enough. Lol. Taking the forks out is no big deal. 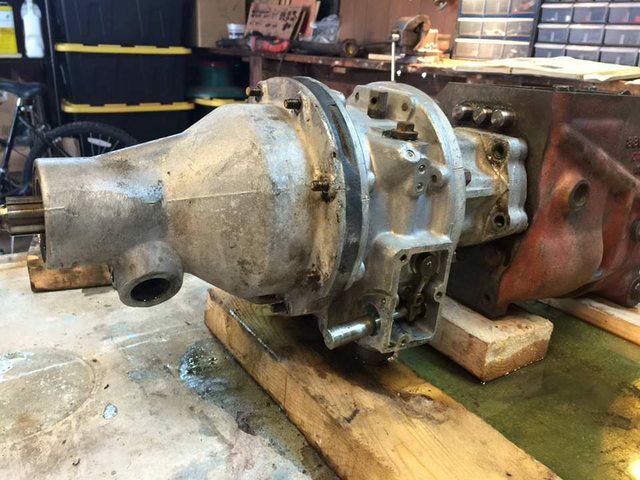 To disassemble the rest you'll need a rod the same diameter as the layshaft but as much shorter as the thickness of the transmission case on both ends. Does that make sense? 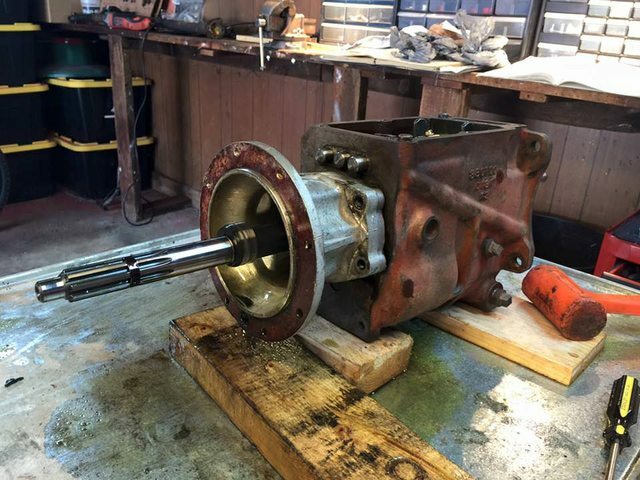 When you drive it through, everything will stay together and fall down into the bottom allowing you to take the mainshaft out. Is there a seal behind that? I can't remember. Appears to be a seal. That's why I was trying to get apart. I'll give it a shot tonight and hopefully it goes well. I remember there being a gasket somewhere on mine that I had to tear to get it on because I didn't completely disassemble the trans. I think it was that one. Well I'll bring it into the house and break it apart on the kitchen table. That should make the old lady happy. Lol. 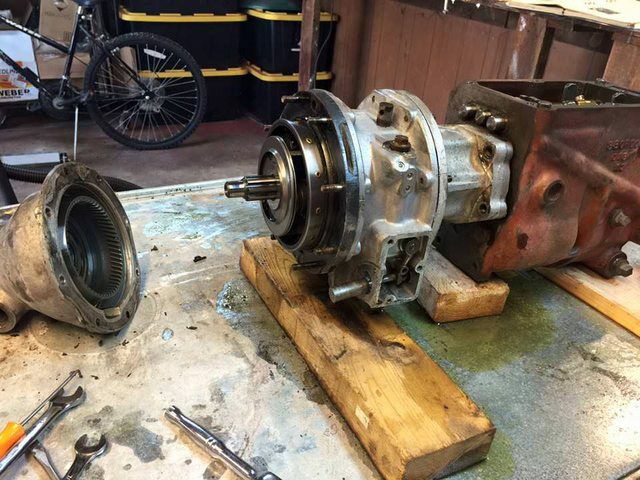 Sorry I never got out and measured my axle mounts for you but in this thread: http://forums.turbobricks.com/showthread.php?t=312142 He basically confirms that you have to cut off the sedan mounts and weld the wagon mounts on for it to work. And the fun begins.... Something I did NOT want to do... Guess it's time to learn. Last edited by HUB; 11-05-2017 at 09:33 AM..
Well got it all apart tonight. Last edited by HUB; 11-05-2017 at 09:34 AM.. Car is looking incredible, engine looks so fresh, love it! Still, never been a fan of the one color car w/ black engine bay, at least it goes with the yellow car and matches the engine theme! Keep inspiring! The car will be repainted one day when I win the lottery. Lol. Haha! We all know how that goes! Your fine. Appreicate the link! Reading it over now. 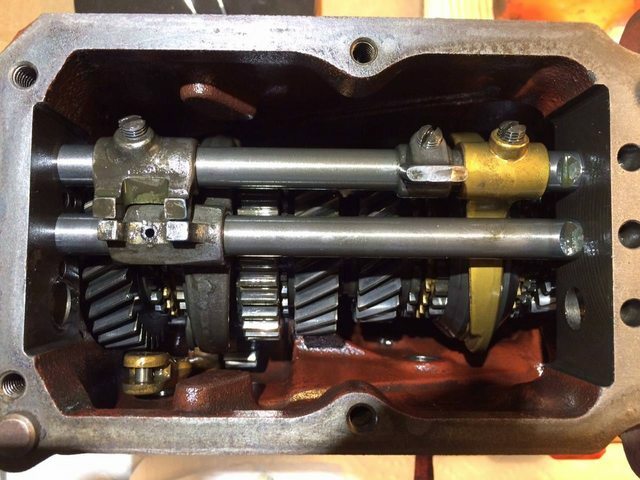 Still have no idea what to look for in this gear box and what I should replace. Everything looks "OK" to me (nothing stands out). Hey hub, I just went through this rear axle thing. The 1800 disc rears are pretty rare but an easy swap... swapping the brackets is something any welding shop should be able to do. The ford 8.8 is only a little more work though and let's you keep the awesome 5x4.5 bolt pattern. I had to swap the front hubs on mine and now have 5x4.25 all around. Hard to find wheels. 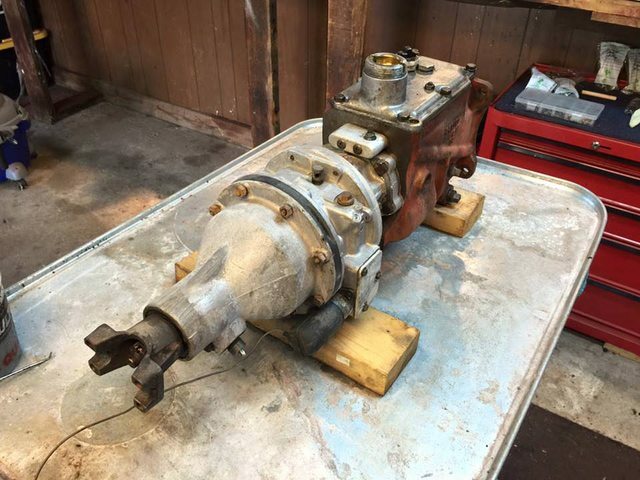 If you don't already have donor parts from a late 1800, go with the 8.8. I'll get more details on the 8.8 and way the cost. Last edited by HUB; 07-31-2016 at 08:36 AM..